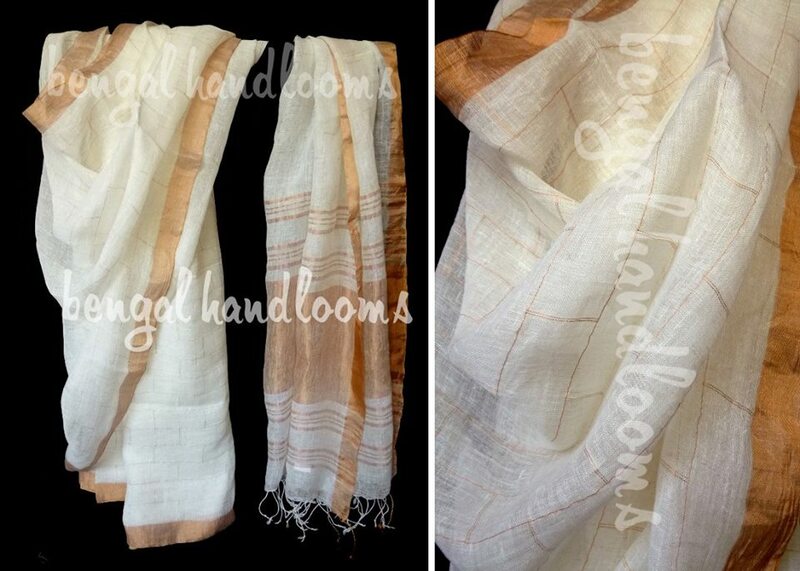 Pure linen saree. Allover woven brick design with copper zari border and pallu + running blouse piece. Colour – off white.